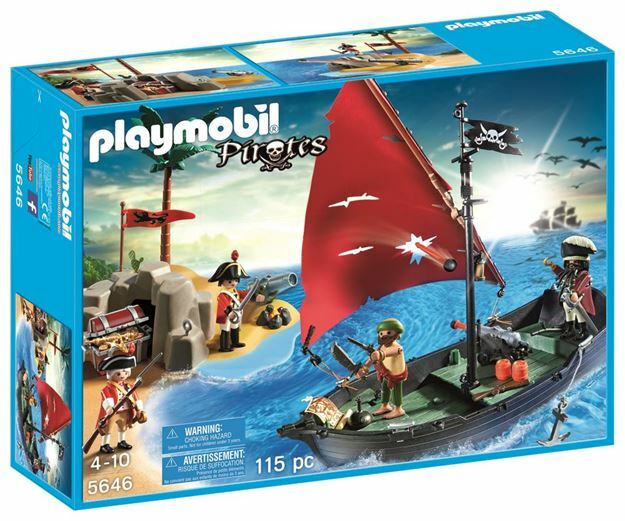 The Playmobil Pirate Club Set comes complete with two pirate figures and a pirate ship with cannon. An island with a treasure chest full of gold is protected by two redcoat soldiers and their cannon.The pirate ship floats and can have the underwater motor attached (sold separately). Part of the Pirate range. Age 4+ years. Distributed in New Zealand by Holdson.